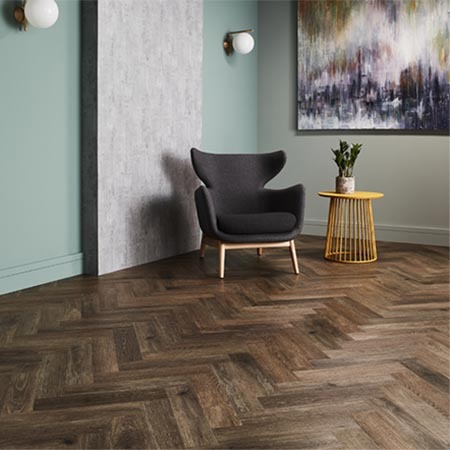 Amtico has introduced Spacia Parquet as the latest addition to its popular Spacia Collection, a Luxury Vinyl Tile collection that is practical in any space. This classically proportioned laying pattern is ideal for commercial applications, offering interior designers and specifiers a versatile, hard-working Luxury Vinyl Tile (LVT) flooring that is practical in any space. It also benefits from ease of cleaning and compatibility with spatial architecture. Spacia Parquet can be supplied with an acoustic backing for enhanced sound reduction, making is useful in projects such as hotels, offices, hotels or student accommodation. It is manufactured in the UK with a 0.55mm wear layer, offering durability in high traffic areas. The laying pattern is available in large or small and has 12 designs, all of which deliver an elegant finish for both traditional and contemporary interiors. Each plank measures 76.2 x 228mm. In more expansive rooms, Large Parquet provides a broader plank measuring 140.6 x 457.2mm. Standout designs in the new collection include Nordic Oak and Blackened Spa Wood. The rustic texture and grey tones of Nordic Oak marry well for a fresh, modern take on a traditional Parquet flooring; while, the stained deep browns and blues of Blackened Spa Wood offer an exciting style that creates an artisan feel. 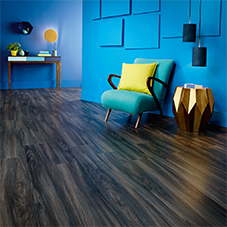 The new Spacia Parquet Collection is available with a short lead time and, to underpin its high quality manufacturing, is backed by a 10-year commercial warranty.